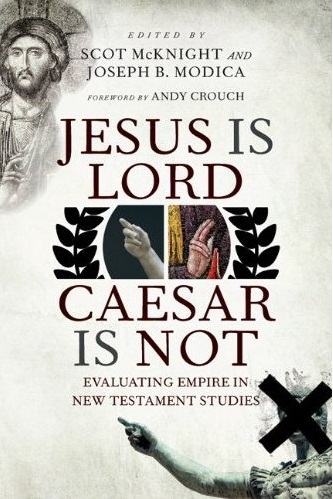 Jesus Is Lord, Caesar Is Not: Evaluating Empire in New Testament Studies is now available on Amazon for pre-order. The book is due to be released in April. The book is edited by Scot McKnight and Joe Modica. I have written the chapter on Colossians and Philemon. It is a humbling honor to be listed among the several distinguished scholars who contributed to the book. By pre-ordering you receive the special pre-publication price. I invite you to get a copy, read it, and let me know what you think.